World of Tanks remains one of the biggest free-to-play titles in the PC and console space, several years after the original launch. The game is available on Xbox 360, Xbox One and PlayStation 4. What about the Switch, though? Is there even a chance that the game could be ported to Nintendo’s hybrid console? Everybody is asking me this question and it’s not like we don’t have a lot of Switches in the office. Because World of Tanks is free-to-play and because we don’t have an ‘in’ on that ecosystem we have to see what the install base is. It has to reach a certain install base before we can include it [in our plans]. The way it works is that, because we aren’t selling a retail product, we do need a large number of players to support the cost of implementing the platform. It’s more just a question of, we have to have an economically viable product. That’s why we have to watch the numbers real closely, and the executive team is always keeping track. Could it even run on the hardware, though? Apparently, that shouldn’t be too much of an issue. Our engineers would spend the time to make it work. But that’s the thing, we have to make sure that we have enough budget to make sure that they can spend the time to make it work. After all, the game launched on Xbox 360 in 2014, so there’s a good chance the Nintendo Switch can handle it. 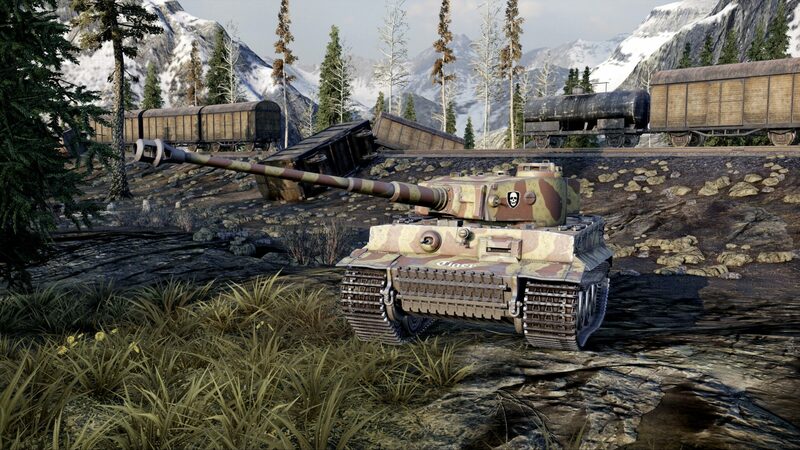 World of Tanks also recently got the first single player/two player narrative driven mission from the War Stories expansion, which is going to be exclusive to consoles. The game will be updated to fully support the Xbox One X when it launches on November 7th.